In the end of January 2014 Turkish media informed about the discovery of a Byzantine church, hidden underneath the waters of Lake İznik in Bursa Province. The mysteries of this structure have slowly began to be unveiled by archaeologists and historians that joined their efforts to find out as much as possible about the building. According to the head of the excavation team - Professor Mustafa Şahi from Uludağ University in Bursa - the basilica was discovered during the inventory of historical and cultural artefacts of the region, conducted from the air. The basilica is situated 20 meters from the shore of Lake İznik and its remains lie in 2-meter deep water. The church was erected approximately 1600 years ago and, most probably, collapsed during the earthquake of 740. 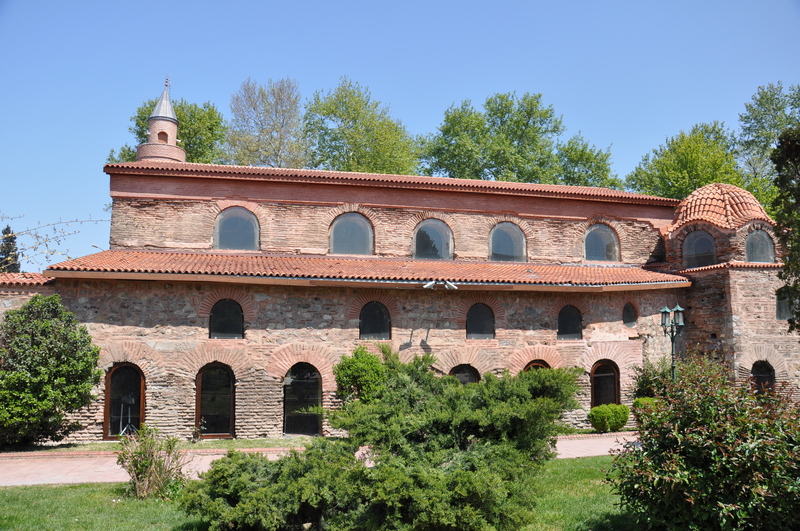 The church consisted of three naves and its plan resembles İznik’s Hagia Sophia Church. Initially it was assumed that the church had been dedicated to St. Peter, but recently it has been established that the structure had been built in honour of St. Neophytos. He was a teenager killed by Roman soldiers in 304 on the shore of Lake İznik and became a saint beloved in the Middle Ages as well as by the local Christian Orthodox community. The discovery of this church coincided with the feast commemorating St. Neophytos. This ceremony takes place every year on the 21st of January.